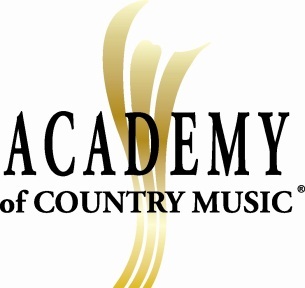 The Academy of Country Music today (7/25) announced several staff promotions and a recent hire. “The Academy’s staff has more than doubled in the past five years, and we are excited to recognize the good work of so many of our newest staff members,” said Tiffany Moon, Executive Vice President and Managing Director of the Academy of Country Music. Lauren Brauchli is upped to Manager, Creative, PR & Production. She joined the company over a year ago and reports to Lisa Lee, Senior Vice President, Creative, PR & Production. Brauchli’s experience includes being a key contributor to the award-winning documentary Bound By Hope: One Family’s Story. Amy Cannon is promoted to Manager, Brand Integration & Strategic Partnerships. She joined the Academy last summer, when her work on sponsorship procurement with Teresa George at Cornerstone Communications was brought in house at the Academy. She reports to George, Senior Vice President, Brand Integration & Strategic Partnerships. They are based in Nashville, while most of the ACM staff is in Encino, California. Jenny Driessen advances to Social Media Manager, Creative, PR & Production. She joined the ACM in 2010 as an events department intern and was promoted to Coordinator, Membership & Events. She reports to Brooke Primero, Senior Vice President, Publicity. Tommy Moore is promoted to Coordinator, Administration & Operations. Moore, a recent graduate of Marquette University in Milwaukee, WI, joined the Academy in December. He coordinates overall administration of the ACM office with a focus on ticketing, operations, finance, and Board of Directors communication. He reports to Moon and Erick Long, Senior Vice President, Operations & Events. Addie Saloman is upped to Coordinator, Membership & Industry Relations. She joined the Academy last November as an assistant. Saloman will maintain the Academy’s awards voting research, liaise with the committees and coordinate key Academy industry events. Saloman graduated from Belmont University and reports to Michelle Goble, Senior Vice President, Membership & Industry Relations. New hire Kathryn Nauman joins as Assistant, Membership & Industry Relations. She graduated from Arizona State University and interned at the Academy and Clear Channel Radio. She also reports to Goble.